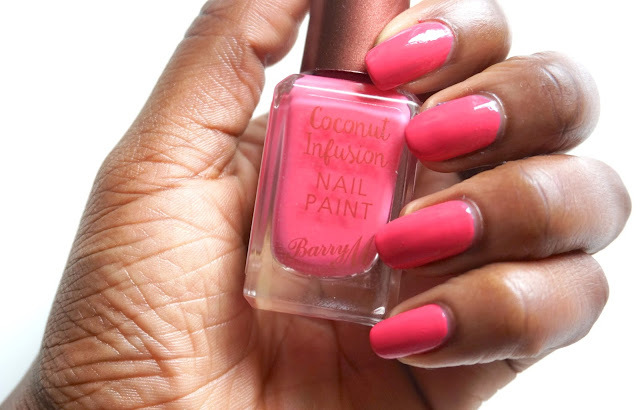 This week I have gone for Barbie pink nails in the form of Barry M coconut infusion Aloha nail paint. I have to say that it has been a while since I sported a bright pink nail polish so this makes for a very nice refreshing change of colour. Much like all the other colours in the Barry M coconut infusion nail paint, I didn't need to bother with a base coat or top coat. 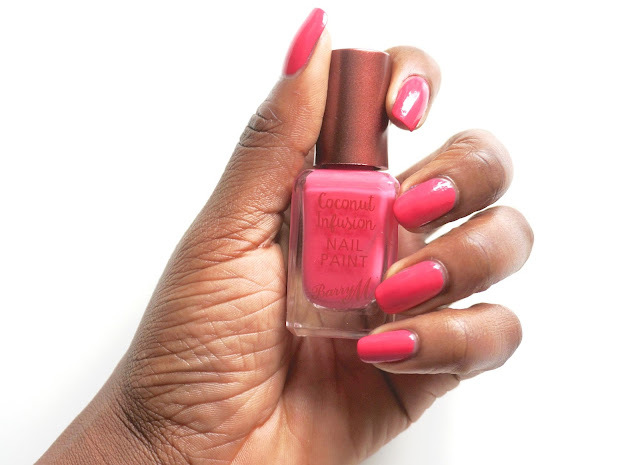 As the coconut infusion nail paint contains coconut oil and coconut water in the formulation which hydrates and nourishes the nails whilst also providing a gel like finish when dry. To achieve the finish in the pictures above, I simply applied two coats of the Barry M Aloha polish and allowed to dry. I did not use a top coat like I normally would with other nail paints and as you can see it dries up glossy as expected. 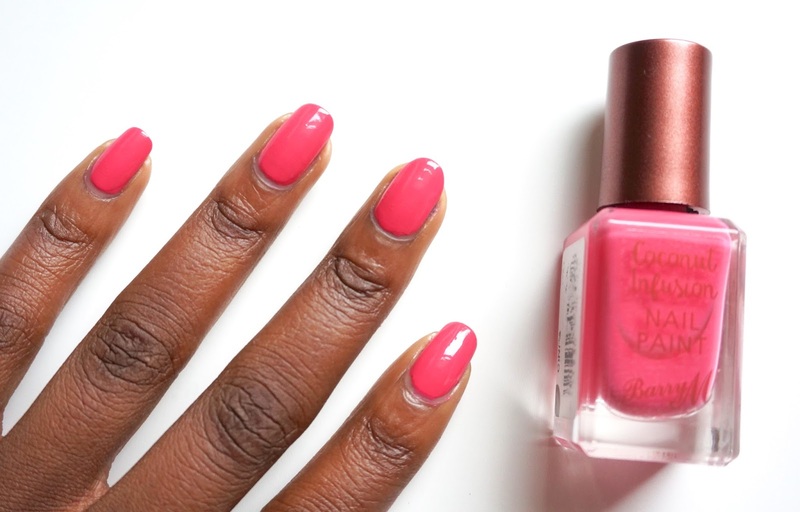 You can a grab a bottle of Barry M Aloha nail paint from Superdrugs, Boots or Barry M's own website! 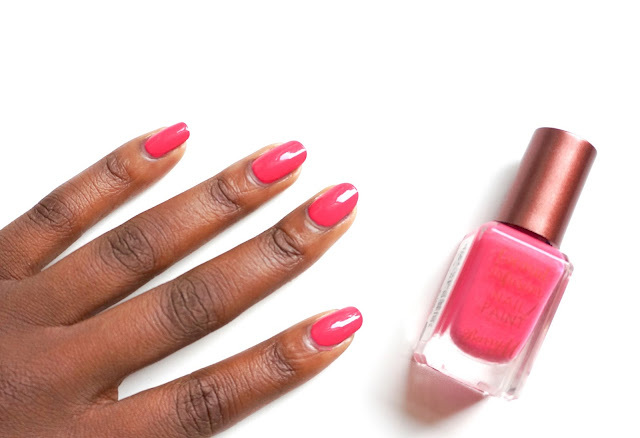 Can you see yourself rocking this colour?